1) Can you use my images on my ebook cover? Yes, providing they are good quality and not too small. We are happy to review any images you send us. Please note that you must own the copyright of any images you send. We take copyright issues very seriously. 2) What size is the book cover that you will create? 1600 pixels by 2560 pixels. 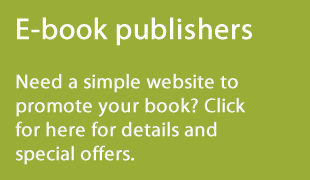 This is suitable for most ebook publishers. If you require a different size, please let us know at the outset. 2) What file format will you deliver the ebook cover in? 1 jpg file, 1600 pixels by 2560 pixels, 72 dpi, suitable for Smashwords and Amazon. Other formats are available for a small extra charge. 3) Do you design back covers? No. We are ebook cover designers and ebooks do not need a back cover. 4) Are your covers suitable for print? No. Our ebook covers are provided in a resolution of 72dpi which is suitable for presentation on the web. We do not design covers for print although we can provide a 300 dpi version if requested from the outset. 5) What happens if I don’t like the cover you produce? If you decide to use our services, you will need to complete our ebook cover design questionnaire. This asks lots of questions about how you want your ebook cover to look so we are confident that our design will meet your expectations. We have not had a dissatisfied customer yet. You will be sent a watermarked proof to review. Once you have signed off your cover and payment has been received, we will remove the watermark and send you the final jpg. If you really don’t like the design in the watermark stage, no payment will be due. 6) What happens if I still want to make changes after I have used my free revisions? Extra revision are chargeable at £35 per hour. Unless you ask for major revisions, each extra round of revisions will only cost you about £10. 7) Who owns the copyright of my ebook cover? Once you have paid, you do. If you have your fee refunded for any reason, the copyright reverts to Bookwebs and you cannot use your cover for any purpose without breach of copyright. Fairs fair.